There has been a lot of emphasis on full and defined eyebrows in the last few years. Having over-plucked my brows in the 90’s I am still waiting for them to regrow back to their former glory. While I wait patiently for that to happen, I turn to a good trusty brow gel. 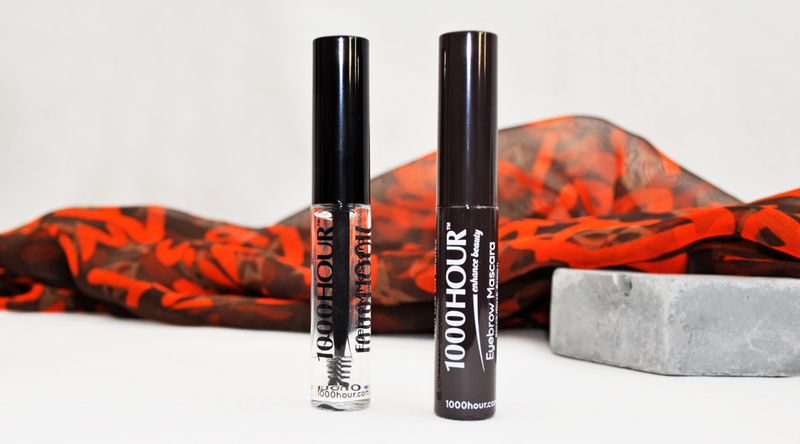 1000 Hour Instant Brows Eyebrow Mascara creates beautiful brows in an instant. At $9.99 a tube, they come in four shades: Black/Dark Brown, Medium Brown, Light Brown/Blonde and Clear. The packaging looks a bit like a typical mascara except the wand is smaller for precise application. The consistency feels light and the texture is not too wet or crispy to the touch. The gel tint allow you to colour match, or darken your brows, leaving them looking fuller and more groomed. It holds the brow in place all day long, without smudging all over the place. To apply, I brush using light upward and outward strokes to define the shape, then blend with the tip to the outer edge to form an arch. To remove simply use a facial cleanser or makeup remover. Tip: Keep your clear gel as clean as possible by using a tissue to clean the wand before placing it back in after each use. I reckon the clear one would be perfect for me . These tinted gels are perfect for light hair. Oh these sound great! And so easy to use! Nothing better than easy brow products!! Doing my brows used to take me the longest time getting them looking even. Using the right products seriously cuts the time in half. These sound amazing! I love how small the brush head is! I need to try these! I love the smaller brush for precise application. These look great! Yes, it’s a great size! I like these products but the dark is actually too dark for me! Usually I am a dark brown in other gels but this made my brows really strong. But they kept the hairs in place perfectly! That’s a shame, perhaps a lighter shade will fix that. I’ve got L’oreal brow artist plumper at home too, the finish is very matte. I’m not sure how I feel about tinted gels. Probably to fill sparse areas in, but I feel like I have to carve out my brows regardless lol. Otherwise they’re super uneven. The clear one is brilliant! I have to try that one next! That wand looks very similar to the Benefit Gimme Brow.